The Moab, Utah Vacation Sampler is like the "Tour of Italy" platter at an Italian bistro, only this sampler serves up a satisfying sauce of scenery and sophistication... and you get adventure du jour! 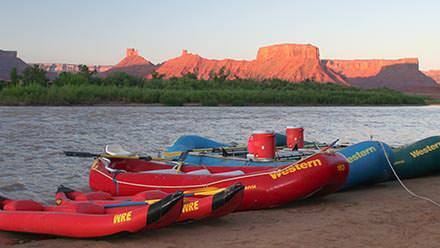 This Moab, Utah vacation package is perfect for those who may be searching for a nibble of rafting and camping for one night - enough to find out if you want more. Relax in the luxuries of the SpringHill Suites by Marriott for the first 2 nights. In between, believe it or not, there's time to tour Arches National Park and take in a Sunset Hummer Safari over petrified sand-dunes to a stunning view over the Colorado River. The final night finds you drinking in a Castle Valley sunset on a wide sandy beach along the Colorado River with wide open starlit vistas - leaving an impression that perhaps you ought to stay and sink your teeth into this place a bit longer, sometime in the future. Arrive in Moab, Utah on Tuesday and check into the SpringHill Suites anytime after 3:00 PM. Take some time to explore this unique Southwestern town and its breathtaking surroundings. Top off your day with a relaxing night at the Marriott. (Prices are based on double occupancy. Please select "single supplement" if anyone in your party will be staying alone in a room). 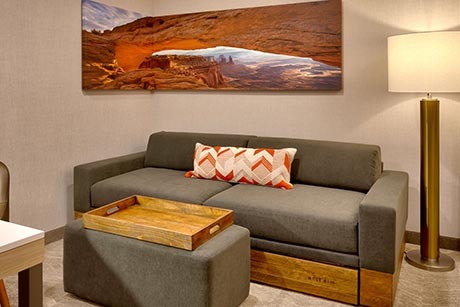 Enjoy continental breakfast at the Springhill Suites, then meet in the lobby (7:15 AM) for an exploration of Arches National Park with our knowledgeable guides. You won’t believe your eyes as you tour this one-of-a-kind place where over 2,000 natural sandstone arches and towering red rock formations blanket the landscape. After hiking and touring Arches, you’ll eat a catered lunch at the Marriott hotel. This allows the chance to let the kids swim, or relax in the room until your late afternoon adventure. At sunset, you’ll experience the exhilaration of an incredible off-road excursion aboard the worlds’ most serious 4x4. Be sure to take pictures because no one back home will believe where you’ve been! Check out of the SpringHill Suites Marriott and experience a 2-day Colorado River rafting adventure (meeting at 9:45 AM in the lobby). On the first day of your trip, you'll completely unwind as you drift between crimson cliffs on serene waters. Savor a barbeque dinner as you watch the sunset bathe the red rock landscape in a dazzling array of light and color. Then fall asleep to the sounds of the river under a blanket of innumerable stars. The next morning, you'll awake to the smells of coffee brewing and blueberry pancakes on the griddle. After breakfast, we break camp and head downriver. Moderate whitewater, wondrous sites and a delicious lunch at Red Cliffs Lodge round out the perfect 2-day rafting adventure. You'll arrive back to Moab around 2:00 PM. 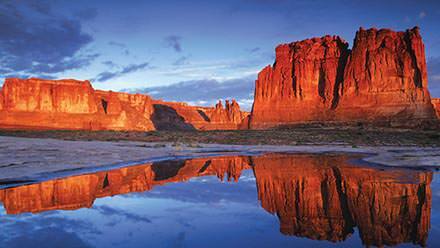 There's plenty to do in Moab, Utah so if you feel like extending your stay, call us, or visit Moab Adventure Center, and we can help you plan the perfect vacation extension. Centered around the quaint town of Moab, Utah this trip offers plenty of opportunity for additional adventure, shopping, dining and relaxing. 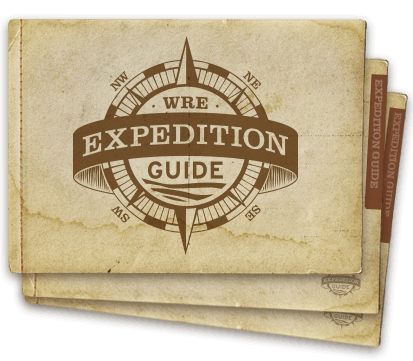 At any time before departure, Western can add to your itinerary additional activities, lodging, and Jeep rental. Simply give us a call and we'll arrange everything for you. 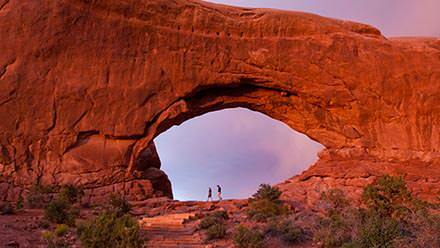 Arches Tour pick-up is at 7:15 AM the first morning at the SpringHill Suites lobby. Sunset Hummer Safari picks-up at the designated time marked on your confirmation sheet for the most accurate meeting time. These are timed with the sunset, so times vary according to season. Check in at the Marriott Springhill Suites anytime after 3:00 PM on the first day of your trip. You'll have dinner on your own the first 2 nights. The Marriott Springhill Suites hotel is located just off Highway 191 near the bridge crossing the Colorado River - 1865 North Highway 191 | Moab, Utah 84532 USA. You'll return to SpringHill Suites around 2:00 PM the final day of your trip. Many guests will choose to add additional nights at the Marriott before or after their trip. If you will be traveling on after the rafting portion of the Sampler package but wish to shower before leaving Moab, we can direct you to several locations in town that offer shower facilities. For optional 2-hour to full-day excursions in Moab, Utah before or after your trip plus helpful Moab area information, visit www.moabadventurecenter.com.